Located in the heart of the Dão, the Quinta de Lemos is a family run vineyard specialises in crafting wine from the indigenous grapes of the region. They are showcased here as mono-varietals as well as blends which are named after family matriarchs. These internationally acclaimed wines are now available in the UK at a special introductory price. Quinta Vale D’Aldeia is one of the most technologically advanced wineries in the Douro and takes a very modern approach to winemaking. This has not stopped them from concentrating on the traditional Portuguese grape varieties that the Douro is famous for. 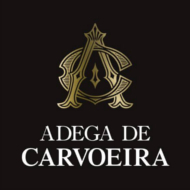 Adega do Salvador produce amazing wines in Amarante, in the Vinho Verde region of Portugal. Their primary focus is on high quality white wines but they also make some delightful rosés and sparkling wine. The family has been making wine in this region since 1927 and the Quinta da Calçada brand is internationally renowned. Coimbra de Mattos is a family run business in the Douro region. They produce outstanding Port wine under the Valriz brand as well as an exciting range of non-fortified wines. The family has been making wine in the region for generations and now you have the chance to try it. Quinta do Crasto is an internationally renowned and multi-award winning family run winery in the Douro region of Portugal. Modernisation has been a key part of the Quinta do Crasto’s success, but they still crush all their grapes by foot and use vines that are over 100 years old in some of their wines. Carvoeira specialises in producing quality wines at exceptional prices in the Lisboa region of Portugal. Check out their Velhos Tempos for a beautiful white wine that is very good value. Herdade da Calada is a modern winery with a long history. Founded in 1854 in the hills of Alentajo, it produces an excellent range of wines as well as olive oil and cork. We currently stock their Vale da Calada range but more choices are on the way. Quinta da Falorca produce modern wines in the Dãoregion of Portugal. Touriga Nacional is one of the main grape varieties in the region and we believe that the T-nac wine produced by Falorca is one of the finest expressions of that grape. Santos e Santos make wine in Estremadura in the Lisboa region of Portugal. Their main focus is on good value wine, but with their Quinta da Cidadoura range they have produced award winning wine that is a joy to drink.